[This is Part Two of my review of the books I read this year, where I actually talk about some books. There is going to be a Part Three and possibly a Part Four. I know, I know. I’m sorry. A mystery story (kind of) set in the New Zealand town of Hokitika during the gold rush of the 1860s, The Luminaries takes much of its inspiration from the writing of that era. Not only are many of the characters wrapped up in typical Victorian issues of stoicism and decorum, but the novel itself has a decidedly Victorian narrator; third-person, omniscient, and as prone to poetic descriptions of the dirty and the commonplace as it is to summing up a person’s temperament and moral character in a few decorous sentences. The action has much in common with mystery and adventure novels of the time, but it’s also tinged with moments of the haunting and the conceivably preternatural. Structurally speaking, The Luminaries is based around the zodiac, and the movement of the heavens. Each major character represents one of the twelve zodiac signs, and the interaction between characters throughout the novel is determined by the state of the night sky – the movement of the planets through the constellations – over the town of Hokitika in 1864. 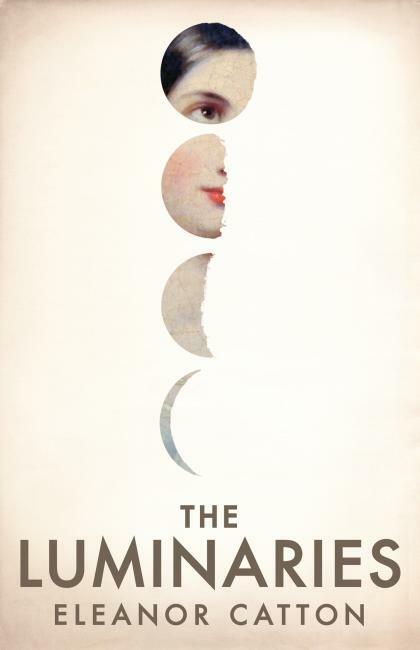 Not only this, but the chapters correspond to the waning moon – the first section is nearly four hundred pages long, and the action within is slow, unhurried. The next is around two hundred, and things start to speed up. And so on, getting shorter and more hurried and more urgent, until chapters become nothing more than brief snapshots: five pages, two pages, a page, a paragraph. The effect is astonishing. Which is to say nothing of Catton’s wonderful use of language, or the novel’s frankly huge cast of incredibly well-drawn characters. It’s around 800 pages long, and while the beginning half is slow, it’s never boring, and it’s never too slow. It’s a slowness that’s delightful to linger in – just to soak up the atmosphere and the characters and the world. I wanted there to be a another 800 pages. The Hokitika Catton draws feels like a place you could spend a lifetime in and still feel like you haven’t seen enough. But The Luminaries doesn’t let you just sit and take it in – the mystery begins to unravel, the action rises, and before long we’re left with nothing but the sting of heart-wrenching tragedy, and the taste of yearning on our tongues. The Handmaid’s Tale almost beat me. I crawled through it pages at a time, with long breaks between sessions. Not because it’s dense, or badly written, but because it’s so unremittingly bleak. And I thought I could handle bleak – I remember reading The Road, alongside other, vaguely similar books, and having no trouble whatsoever. But this is a different kind of bleak. The Road is the bleakness of a broken world where you survive on nothing but your own strength, where a man has to protect his innocent child from a newly indifferent world. The Handmaid’s Tale shows us another crawling nightmare from another perspective – one where the world has always been utterly indifferent to you. Where McCarthy dwells on a powerful, perhaps centrally masculine fear of losing society and the protection it gives us, Atwood focuses on the ways society can take from us. Instead of the protective walls of society falling down, they move in, suffocating you bit by bit, day by day, until there’s almost nothing left. It’s the story of a society that takes everything from women, even, in time, the will to resist; the will to even hope for something better, someday. There is no way to survive off your own wits, no innocent child to protect – even that is taken away. All that remains is hopelessness, loneliness, nothing. 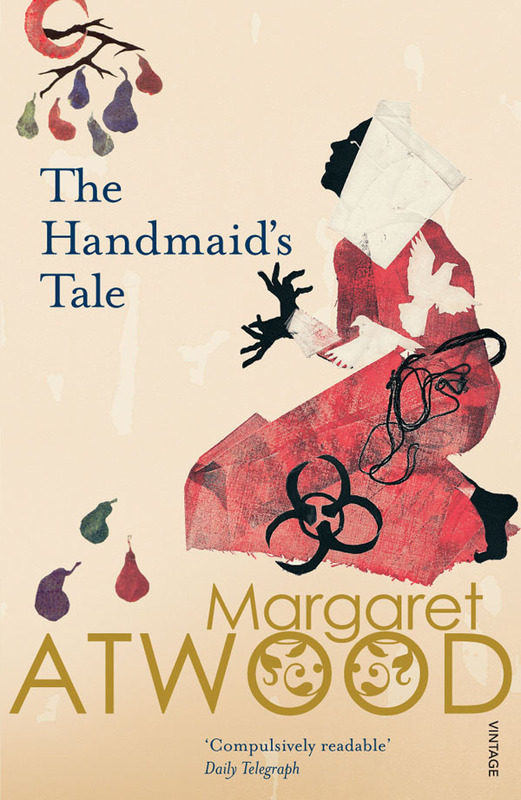 The Handmaid’s Tale is a novel that, to me, felt bleak in a wholly unfamiliar way. Where the apocalypse is one of society, rather than the lack of it. Where the question isn’t if you’ll live another day, but whether you’ll be able to force yourself to; whether you’ll have reason to. Like I said, it’s the apocalypse of the walls – walls that were always there – closing in. Not the fear of dying in the night, but rather the suffocation of waking up in the morning. And after the story ends we’re shown another perspective – another dispassionate, perhaps centrally masculine examination of what you just finished reading. And where before I was broken down, exhausted, here I was furious. The treatment of this story as a text to be picked apart and academically debated, rather than grieved over, believed in a sense that’s impossible to quantify – that was an astoundingly resonant outrage, and one I don’t think I’ve ever felt before. 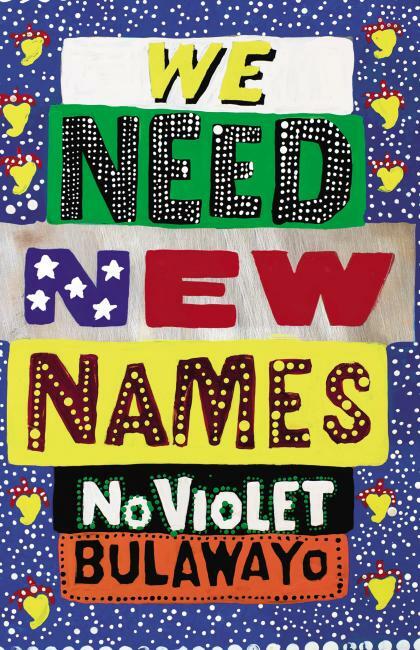 We Need New Names is a book of two halves. First, the lived experience of a small child in Zimbabwe, and then the experience of being removed – of being picked up and displaced somewhere else, of only being able to look on as an outsider. Both halves are effective, and could easily have stood alone as two separate novels. But it’s the interaction between these two parts – the light they shine on one another – that makes this book what it is. The first half starts out as a beautiful, partially broken description of a ten year-old girl’s life in a Zimbabwean shanty town. It describes hardship, and privation, but it’s mostly concerned with painting a picture of what it is to be children. The games, the fights, the child-like perspectives on things like politics and religion, and the strange, half-formed folklore they invent for their town and the people within. But as the political and racial tensions rise ever further, all this is derailed. Then, into the second half. The protagonist is now living with her aunt in Detroit, Michigan, away from violence and danger back home. She can’t go back home, or shouldn’t, or isn’t allowed to. As she struggles to cope with life in America, a central question begins to take up more and more room in her head – is it her home anymore? She doesn’t feel comfortable in Detroit, but she’s been gone for so long, and when she calls her friends and family back home they’re different, and she’s different. They struggle to communicate as she becomes less and less connected to her past. I’ve seen some people criticise the novel, and the author (who is herself an expatriate Zimbabwean), for failing to fully understand the reality of the situation in Zimbabwe at the time, or at least for not addressing it with enough nuance. But that’s the entire point of the novel – it’s about the experience of someone who left, and can only look on, or look back. It ends with the protagonist chastised by her childhood friend for failing to understand, for claiming that Zimbabwe is her country, after leaving it so long ago, after picking up new habits and a new accent. The protagonist rages against this, and that guilt is clearly there. It’s a book as much about guilt as anything else. In We Need New Names the protagonist is left adrift – her past is remote, no longer a home to her, and try as she might she can only look on as an outsider now. She doesn’t understand, not fully, not anymore. It’s a novel about being adrift from your past, and your heritage. About a community keeping that heritage alive in the gaps available to them. About the small things that sometimes make life in a new country almost unbearable, even years down the line. It’s about looking on and no longer feeling quite right calling home ‘home’. About feeling incredible guilt about that fact, and about how you’ve changed, but not knowing how to do anything else. This entry was posted in Books and tagged 2014 - The Year in Books, Eleanor Catton, Margaret Atwood, NoViolet Bulawayo, The Handmaid's Tale, The Luminaries, The Year in Books, We Need New Names. Bookmark the permalink.